Brand: A label of the Botter family, Piazza del Castello Rosato hails from the Tuscan hill town of Radda. There, below an 11th century castle is the wine’s picturesque namesake, Piazza del Castello. The grapes for the Rosato are sourced from hillside vineyards surrounding the Piazza. Winemaking: Cool fermentation and brief ageing in stainless steel tanks. Tasting Notes: Coral pink in colour, with summery aromas of strawberry, apricot and rain washed slate. A subtle savory undercurrent accents fresh cherry, peach, tart red currant and lively acidity. Loads of vivid red grapefruit and clean minerals highlight the dry, zippy finish. 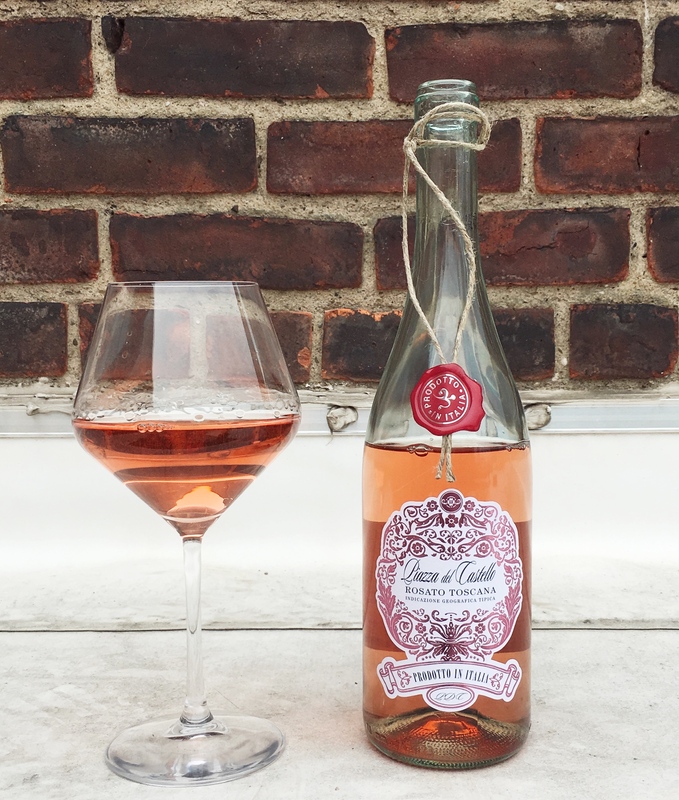 Refreshing and easy drinking, this is a thirst quenching Rosé perfect on hot summer days. Pairing Suggestions from the Winemaker: Light salads, light pastas, flatbreads with grilled/roasted veggies, seafood, shellfish, goats’ cheese, and as an aperitif. Bottled by Casa Vinicola Botter Carlo & C.S.P.A. I’m sure it was fantastic! Grazie my friend!